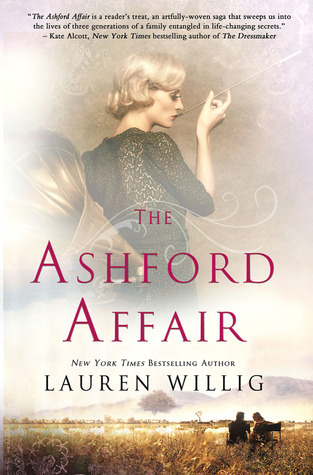 The Ashford Affair by Lauren Willig was the best sort of surprise. I have been a fan of Willig’s Pink Carnation books for years. They are fun romance novels, bouncing between Eloise, a modern-day graduate student researching aristocratic espionage during the Napoleonic wars, and a historical heroine, who changes with each book but is always somehow tied to the Pink Carnation. The series started out with a breezy chick-lit style but as it has progressed (the 10th book will be published later this summer) as Willig, a lawyer by training, has incorporated more and more historical detail. I have loved watching her style evolve over the years and so was very excited when I heard she was publishing her first historical novel, The Ashford Affair. Like the Pink Carnation books – and like so many historical novels these days – The Ashford Affair focuses on two women in two different eras. Switching between New York in 1999 and Kenya in the 1920s, Willig follows young lawyer Clemmie Evans as she tries to sort out her family’s past and learn more about her beloved grandmother, Addie. But Addie’s life was not what Clemmie had been told and she finds herself learning secrets that the entire family knows but never speaks about. If anything, I enjoyed the “modern” storyline more than the historical one – the complete opposite of how I feel about the Pink Carnation books. The historical storyline certainly has a lot going on, between Addie’s childhood in England, her encounters with the hedonistic lifestyles of the young and wealthy in post-war London, and then her time in Kenya as part of a tense love triangle, but everything moves so quickly that it is difficult to become attached to her. She is fascinating but always at a distance. Clemmie, on the other hand, is wonderfully accessible. She is someone who thought she had her life together but, over the course of the novel, begins to question her choices about her career and her relationships as she unravels the truth about Addie. I particularly loved Clemmie’s relationship with Jon, her ex-step-cousin (and isn’t that just the perfect muddled degree of acquaintance for a late-20th Century love interest?) who is the one to push Clemmie to find out more about her grandmother’s past. They’ve known each other for years but their long-time attraction has been complicated by family interference as well as their own youth and stubbornness; it makes for an interesting dynamic. I really enjoyed this book and was so impressed by how much Willig has grown as a writer since those early Pink Carnation books. 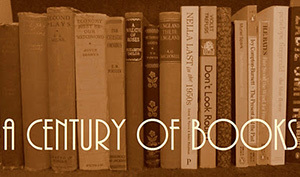 Here, she builds on the techniques and styles she had experimented with in those earlier books to create something entirely absorbing, with just the right blend of humour and history. I am looking forward to the next Pink Carnation book but, even more, I am looking forward to Willig’s next historical novel. Just requested a copy from the library. I loved the Carnation books but I forgot about them waiting for the next book to be published. This one sounds even better than those earlier novels, which were delightful. “Willig has grown as a writer . . .” I’m really eager to read this after reading your review . . . and I need to go back to Night Jasmine, where I left off with the others. I hate the waiting period between books in a series! Usually, I forget all about the series and come back a couple of years later only to discover that a) several books have been published in my absence, which is quite delightful, or b) that I have forgotten everything about the earlier books and therefore the most recent one makes no sense. Since I follow Lauren Willig’s excellent blog-like newsfeed on her website (she does wonderful weekly round-ups of what she is reading, plus great “if you like” recommendations) I am kept firmly update to date with new Pink Carnation books. Hope you return to the series and enjoy this book too! Maybe I should try the Pink Carnation books again … I tried the first and gave up. But perhaps this one might persuade me to try the Pink Carnations again, even though this isn’t part of that series. Current reading: Kathleen Tessaro’s The Debutante, and thus far I’m loving it. The first Pink Carnation book remains my least favourite. As for this book, knowing what other books you read, I think it would be worth trying.